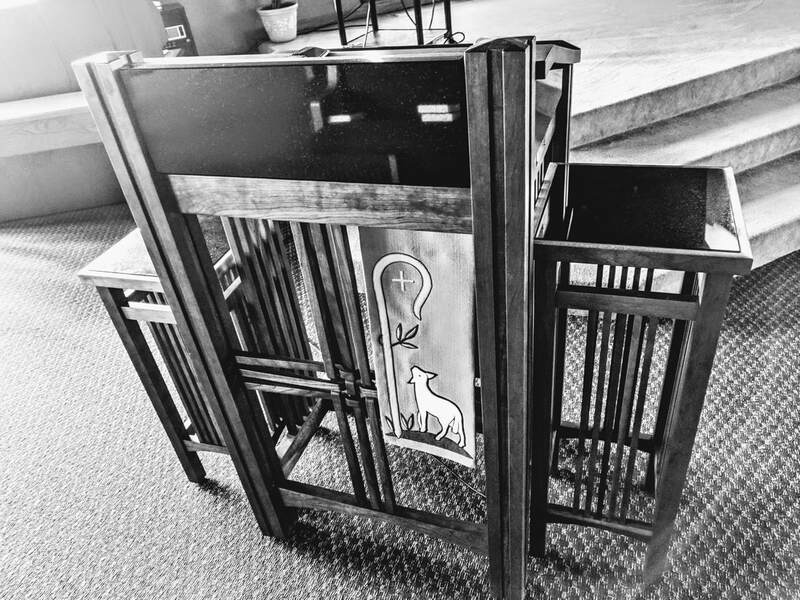 All of the furniture in the worship space at Messiah New Hope was designed and built by world renowned pipe organ builder, JF Nordlie. Machine precision comes together with handcrafted quality in these timeless pieces. 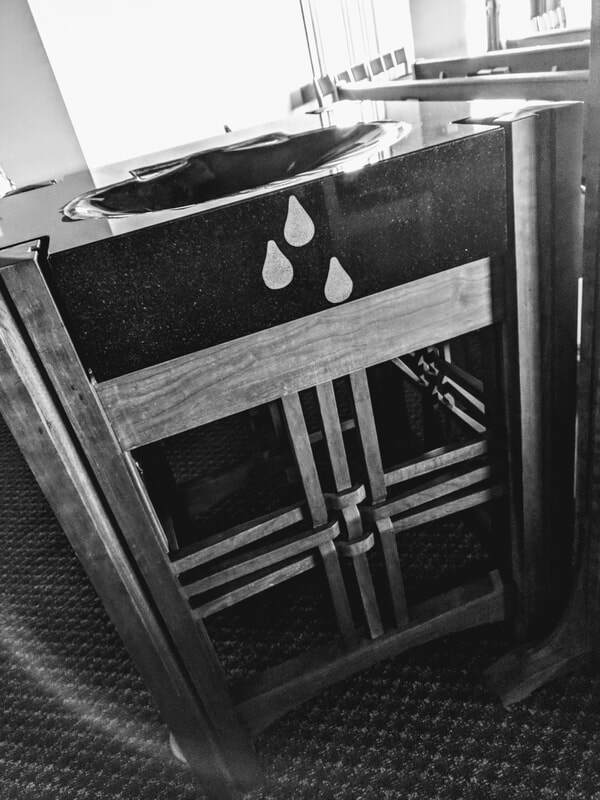 Anchored by a sparkling black granite, the baptismal font, communion table, and pulpit each feature a triune woven cross pattern in a mission style. 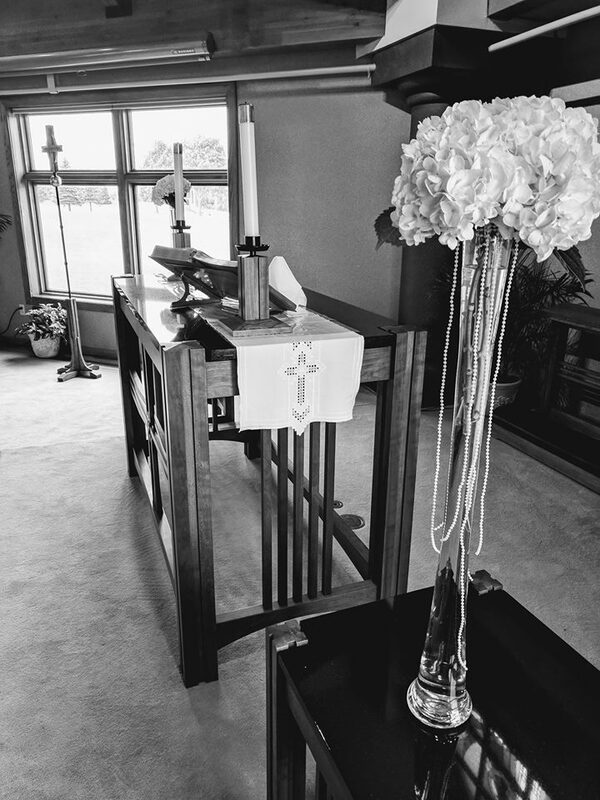 Several small tables and an elegant predieux complete the collection, but are not featured here. 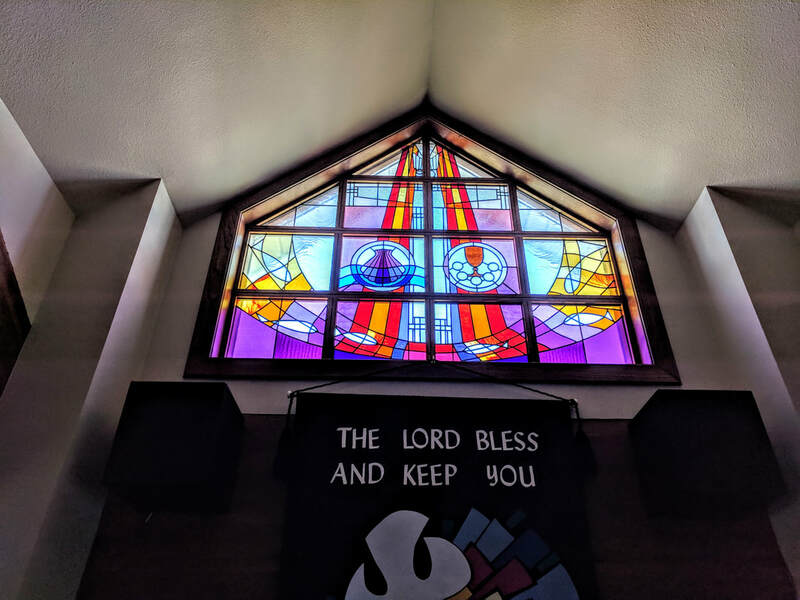 Designed and crafted by renowned liturgical artist, Bob Aldern, this stained glass piece catches the eye as you enter the worship space. Christ, arms spread wide is showered in the light of heaven. A cross marks each of the wounds of his torturous death. The Spirit descends like a dove. And, the net gathers fish at the bottom. In the middle, two medallions capture the centrality of baptism and holy communion for our community.